La Bonne Crepe is a traditional creperie based in Bristol since 2007. We specialised in events catering. 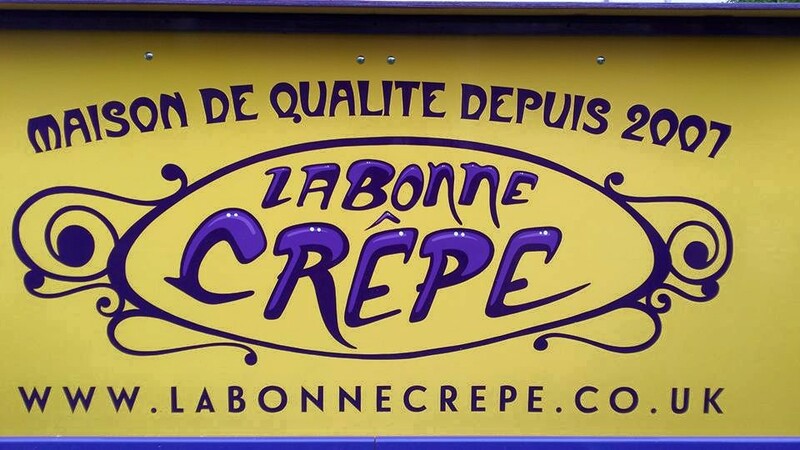 La Bonne Crepe takes part in different events from Glastonbury to small and local event. The batter is freshly made to order and in front of the customer. Like in Brittany where crepes originated from, the savoury crepes or Galettes are made with Organic buckwheat flour (wheat, gluten and dairy free), sweet crepes are made with Organic wheat flour. We are now able to offer a 100% vegan menu if required or vegan options. We aim to give and share an authentic taste of France. We make tasty crepes with a smile and share a good time with our customers. We use Fair-Trade, organic, local products when ever possible. In addition to the crepes, Fair-Trade tea and chocolate, Fair-Trade and organic coffee, cold drinks. All our food packaging is biodegradable and most of our waste is recycled.